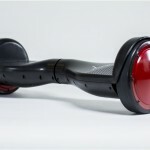 Self-balancing scooter, also known as a hoverboard, is a two-wheel board with motors on each of them. It is an innovative way of short-range personal transportation and has the potential to reduce traffic jams in cities. 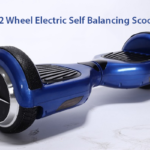 Hoverboards are easy to use, portable, and have a rechargeable battery. The rider can stand on the platform between the wheels and commute to various places. 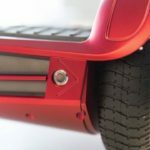 Over the years, various companies have come up with advanced versions of self-balancing scooters packed high performance and high-quality, thereby increasing the competition in the market. Nowadays, customers desire smartphone integration very much and today’s hoverboards are equipped with Bluetooth connectivity, which can interact with smartphones for playing music, sharing necessary data such as battery health, GPS location, etc. 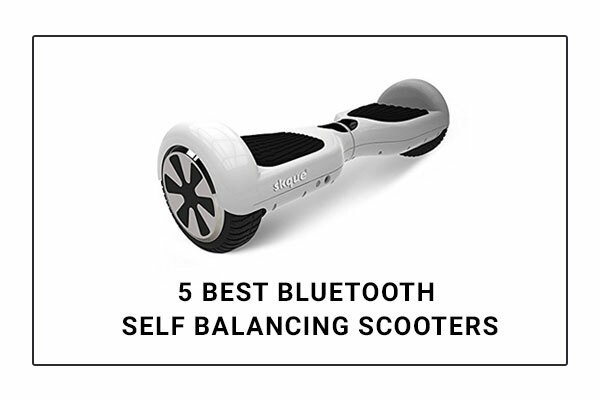 Segway is a reliable name in the hoverboard market. This product from Segway ranks high in the list, owing to its robust platform design, best-in-class build quality, and anti-skid rubber pads. It is UL-2272 certified and meets rigorous standards for electric and fire safety. It packs top-tier technology, and its excellent production process ensures high quality and reliability. It has one of the most powerful motors in the industry at 1600W which make the device ride like a breeze. 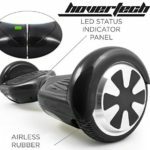 It has a top speed of 10 mph, and anyone can easily learn to use this hoverboard, owing to its precision sensors and advanced knee control bar. It has an advanced Bluetooth mobile application by which you can do remote locking, vehicle diagnostics, and even move the device remotely. The padded knee control bar has an adjustable height feature and hence, can be customized for riders of all heights easily. It can travel for a decent range of 14 km on a single charge that makes it ideal for commuting to offices, shopping malls, etc. You can groove to your favourite music with its high-quality Bluetooth speakers. Swagtron has the best-in-class weight handling at 420 lbs., leaving other competitors far behind. It also has an industry-leading inclination angle of 30 degrees, making it optimal for all-terrain performance. The top speed is 12mph which is faster than most competitor products. Its tire has a rugged tread pattern, which offers superior traction and good grip on all surfaces. The one-year warranty period is an added advantage. The standing platform is designed with metal guards, which enable the riders to enjoy the ride without any fear of stumbling. Its battery technology with advanced charging mechanism ensures that the hoverboard gets charged in a record time of 2-3 hours. With the help of the Bluetooth mobile application, riders can sketch their routes, make use of maps for identifying locations, play music, and control the board speed, and so forth. The platform has a high-quality finish and comes in attractive designs. Its self-balancing technology can support different weight ranges, thus making it a perfect companion for both kids and adults. This hoverboard is sure to add swag to your daily travel. This hoverboard has a top speed of 12kmph which is far better than its competitors. The acceleration is smooth and has a faster response. Its range is also higher compared to other products in the market. This product has very good balance and gives a smooth ride because of its advanced gyro sensor technology. Its built-in LED lights are bright, making night travel safe and fun. It has seamless connectivity to your mobile phone via Bluetooth and enables you to rock with hit music while you ride. You can use your feet to control the motors individually, giving you precise control during turns, braking, etc. It has good manoeuvrability with a 360-degree rotation. It’s silent yet efficient motors pack a powerful performance, enabling a smooth ride always. Taking sharp turns is easy with this hoverboard. It’s inflatable, hardened tires can take on a wide variety of surfaces and display an impressive performance on gravel, sand, concrete, etc. Show off your moves with this awesome scooter! One of the best features of this board is that you can set it to different modes such as learning, normal, and advanced mode. This helps the rider to take his time to get comfortable with the hoverboard and develop expertise as per his pace. 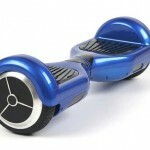 Its platform is water resistant and has fire-safe batteries. The mobile application has a host of functions such as to play music, monitor the board remotely, take note of the battery charge status, adjusting steering sensitivity, maximum speed adjustment, etc. It comes with a custom-made carry case that makes it easy to pack and take it around easily. It has best in class aluminium guards that protect the riders from injury. The rider can control the board by shifting his body weight, and the board maintains dynamic equilibrium at all time. The torque available with its motors enables the rider to overcome steep slopes and muddy soil with ease and without difficulty. It has high-quality Bluetooth speakers which can play songs with crystal clarity. Be ready to rock the world with this hoverboard! Hoverzon has taken safety standards to new levels. Apart from having UL2272 safety certification, the company has added extra multi-layered armour system, which protects the board against high bumps. With the help of the intelligent battery management system, the battery charge lasts for a longer duration. This is an ideal choice for riders who consider safety as paramount compared to other features. It has a shatter resistant frame and additional protective covers on front bumpers. It offers great ride comfort and easy mounting. Hoverzon comes in attractive colours and is surely a head turner. It is waterproof, shock resistant, giving the riders the confidence to scale any height and depth with ease. Bluetooth connectivity is seamless, and the setup can be done easily without any hassle. It has more foot space, more stability, and better control and beats all its competitors easily. With wheels built for harsh operations, this board can go where no other board has ever gone before! Which one would you prefer going with?